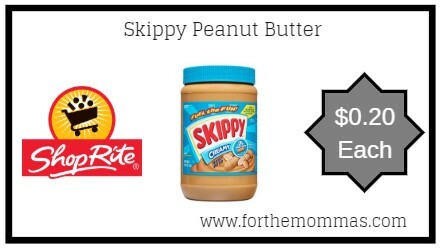 ShopRite: Skippy Peanut Butter ONLY $0.20 Each Thru 4/13! Thru 4/13 at ShopRite you can pick up Skippy Peanut Butter for only $0.20 each. There will also be a ShopRite digital coupon you can stack along with a $0.55/2 Skippy products printable coupon to score a jar for ONLY $0.20 each after Checkout51 rebate. 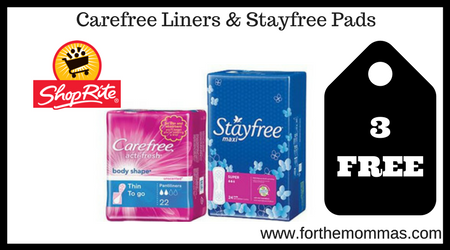 ShopRite: 3 FREE Stayfree & Carefree Products Thru 4/13! 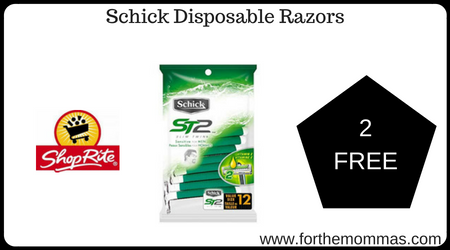 ShopRite: FREE Schick Disposable Razors Thru 4/13!